Ever since we moved to Atlanta, I'm always on the lookout of authentic good homemade Cuban food. 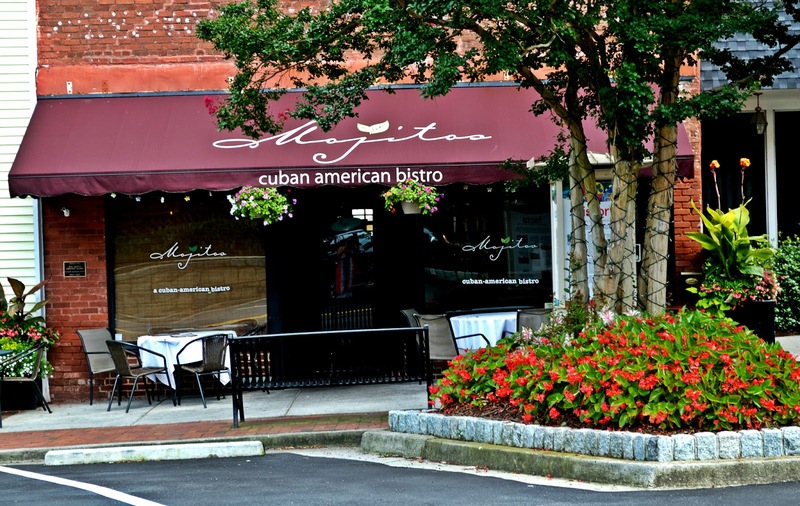 Thanks to our friends at Explore Gwinnett I had the opportunity to sample the food at Mojitos Cuban-American Bistro. This one of a kind eatery, located in the heart of historic Norcross, has become my favorite place to go when I'm craving grandma's good old-fashioned "rabo encendido" (spicy oxtail), or "Arroz Relleno" (stuffed yellow rice). For those of you who have never tried "Rabo Encendido" before, you have no idea what you have been missing. Oxtail is a Caribbean delicacy. It's basically French and African cuisine fused together. Spicy oxtail is one of Cuba's most famous dishes. 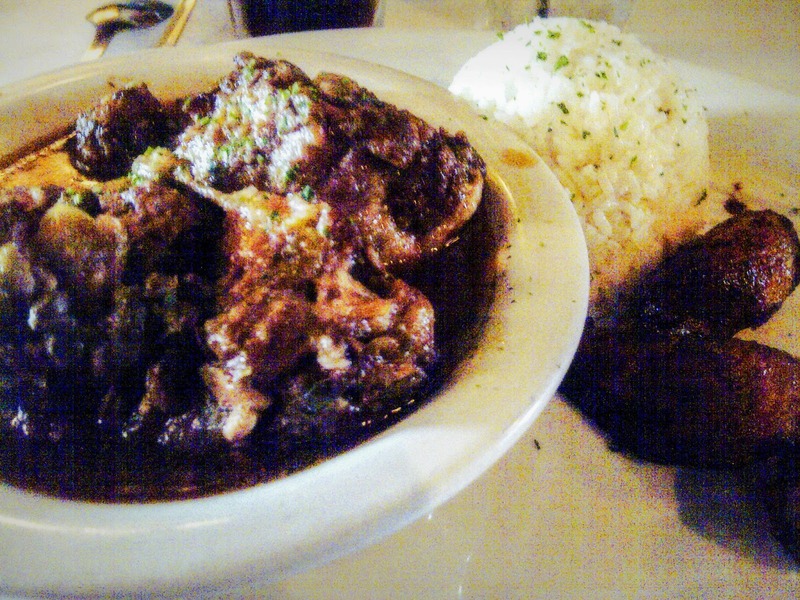 It consists of slow-braising oxtails, that are stewed in a home made red wine-base with special spices, and cooked until they are very tender and the meat falls of the bone. The "arroz relleno" or stuffed yellow rice consists of all white meat chicken breast, simmered in chicken broth and then shredded. Is baked in a yellow rice casserole with parmesan and mozzarella cheeses and is served with avocado salad and tostones. It is simply "delicioso". Cuban cuisine is a fusion of Spanish, African, and Caribbean cuisine. Cuban recipes share spices and techniques with Spanish and African cooking, with some Caribbean influence in spice and flavor. This results in a unique, interesting and flavorful blend of the several different cultural influences, with strong similarities with the cuisine of the neighboring Dominican Republic and Puerto Rico. 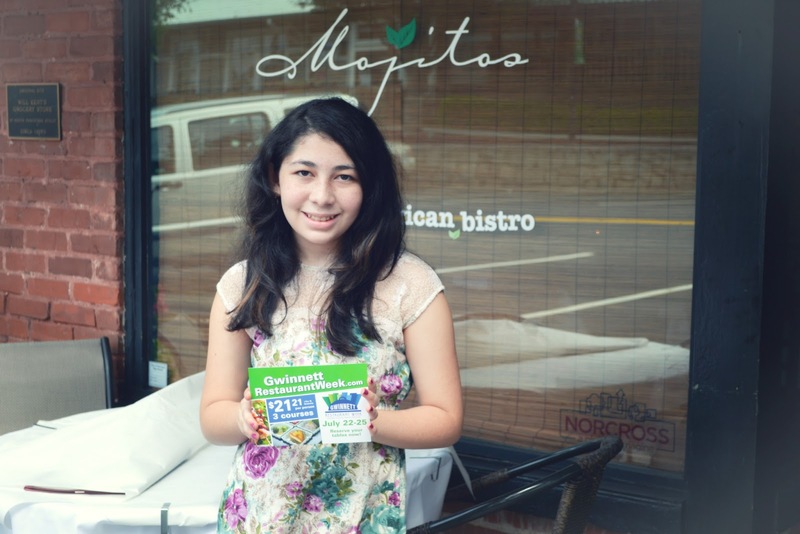 Mojitos is one of the 15 restaurants currently participating in Gwinnett Restaurant Week. For $21.21 you can enjoy a 3-course meal. New this year, social media savvy diners will have the opportunity to get small prizes during Restaurant Week by checking in via the Yelp! App. Valid only at participating restaurants and details can be found on the website. 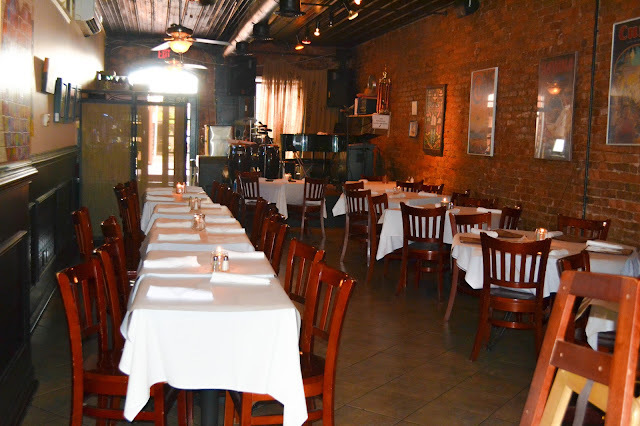 Reservations for some restaurants can be made online and others by phone. Diners can view all Gwinnett Restaurant Week menus at www.GwinnettRestaurantWeek.com. If you can't make it to restaurant week, don't despair. 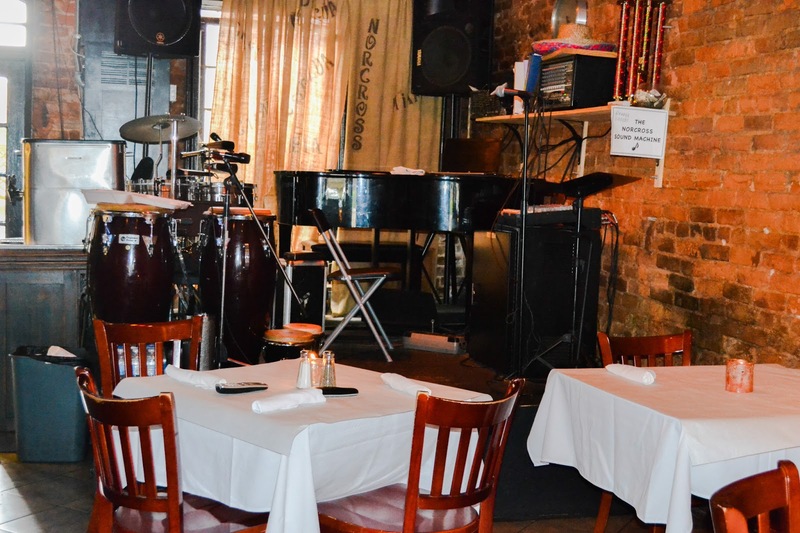 We are giving away a $50 gift card to eat at Mojitos to one of our loyal readers, so they can experience what authentic Cuban-American cuisine is like. 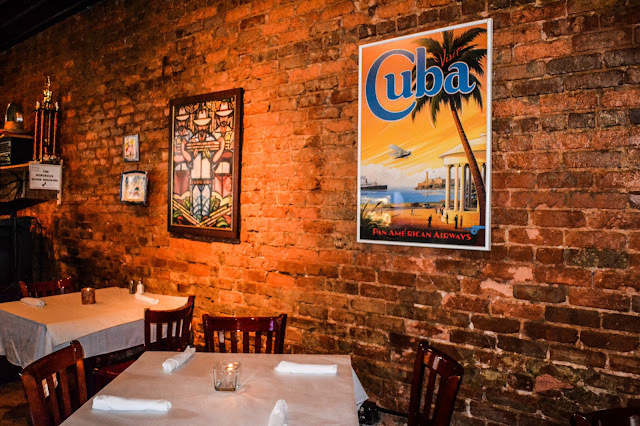 All you have to do is leave us a comment telling us what's your favorite Cuban dish on our comment section and register your entry using our rafflecopter widget.